The Eppendorf Thermomixer R conveniently offers simultaneous mixing and temperature control. It meets even the highest demands for user-friendliness and flexibility: its counter-cooling ability provides efficient cooling, thereby greatly expanding both its temperature control functions and range of applications. The Eppendorf 5417 R (refrigerated) centrifuge is a tried and trusted model in the global biotechnology market. DISCONTINUED. The powerful and user-friendly MiniSpin and MiniSpin plus are small footprint centrifuge units that are ideal for individual work stations, training purposes and industrial research applications. The two models have slightly different specifications to meet performance requirements for different users. Eppendorf Centrifuge 5418 Eppendorf 5418 R are ultra-compact 18-place centrifuges that fits on even the smallest lab bench. About the size of a standard sheet of paper. 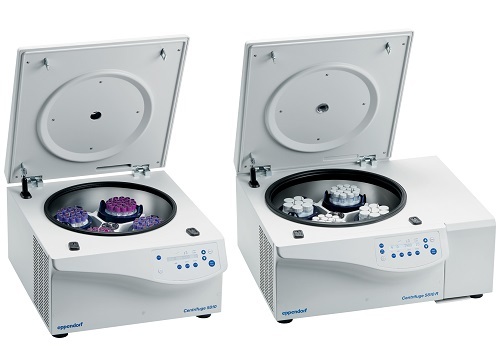 Eppendorf Centrifuge 5430 and 5430 R bring multi-purpose versatility to every lab bench! With a maximum speed of 30,130 × g (17,500?rpm) and the refrigerated model with a temperature range of -11 °C to +40 °C, and a wdie range fo rotor options, the centrifuge is adapabtible to many protocols. 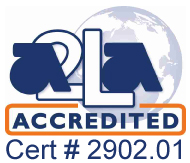 Centrifuge 5424 and 5424 R are the new laboratory standard. 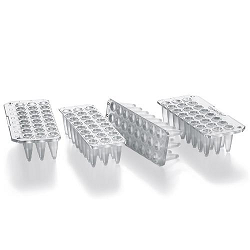 With their 24–place capacity and speed up to 21,130 × g they are perfectly equipped for all modern molecular biology applications in Eppendorf and PCR tubes. 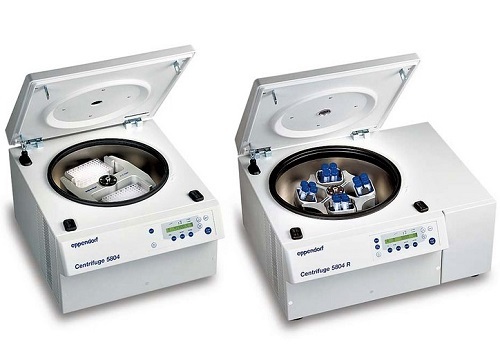 The Eppendorf Centrifuge 5804 and Eppendorf 5804 R are high-speed centrifuges for medium capacity needs. 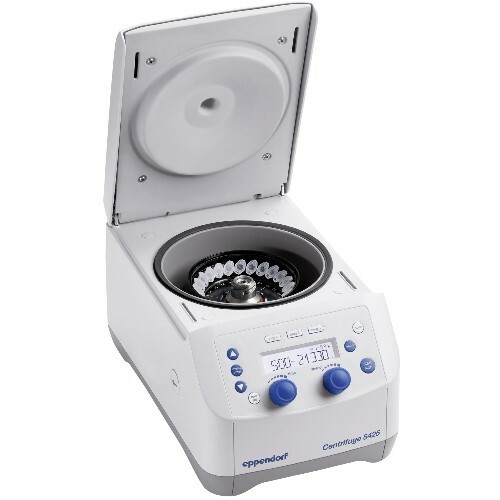 Eppendorf Centrifuge 5804 / 5804 R allows for molecular applications in tubes up to 250 mL and offers additional swing-bucket and fixed-angle rotors as well as deepwell plate capacity for increased versatility. 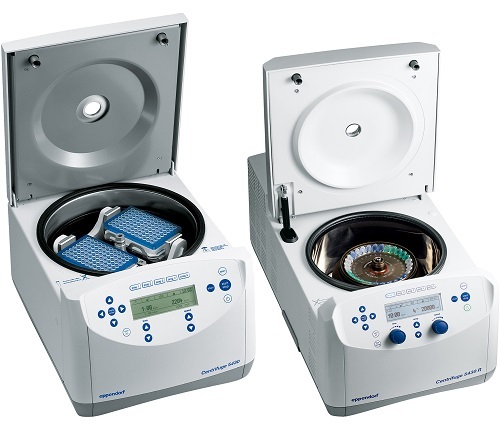 Eppendorf Centrifuge 5810 and 5810 R feature powerful and maintenance-free motors, while also accommodating a variety of rotors to meet your application needs. They are three centrifuges in one: a high-capacity, general-purpose centrifuge for cell harvesting; a high-speed centrifuge for separating cell lysates; and a microcentrifuge for DNA precipitations. 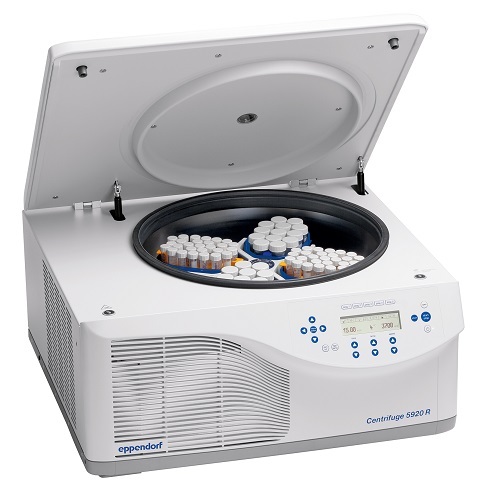 Eppendorf Centrifuge 5702 is the ideal centrifuge for low to mid throughput labs. The Eppendorf Vacufuge Plus Vacuum Concentrator can quickly and efficiently concentrate DNA/RNA, nucleotides, proteins and other samples for your lab. 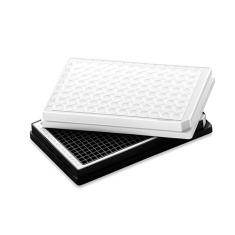 Available in two options: A complete system OR an upgradeable basic concentrator for connecting to an existing vacuum. 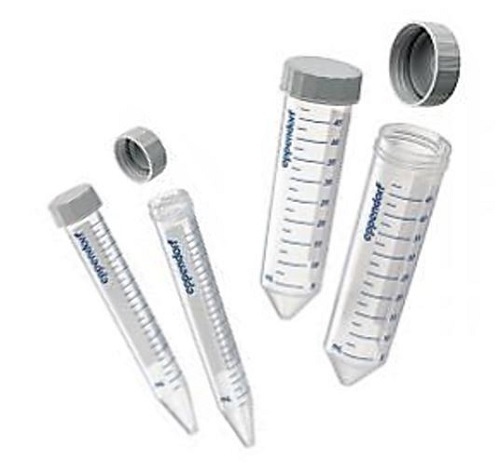 Eppendorf Safe-Lock Tubes combine all the experience of over 45 years of constant improvement and development. DNA LoBind tubes and Protien LoBind Tubes improve recovery by reducing their adsorption to the tube wall. 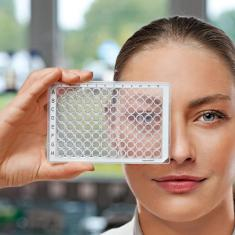 DNA LoBind plates improve recovery of nucleic acids by reducing their adsorption to the plate. 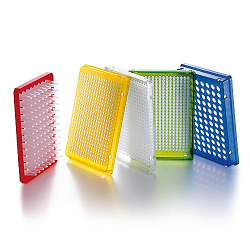 Eppendorf DNA LoBind plates are ideal for sample preparation of long-term storage of nucleic acids in forensic, microarrays, NGS applications, and many others. 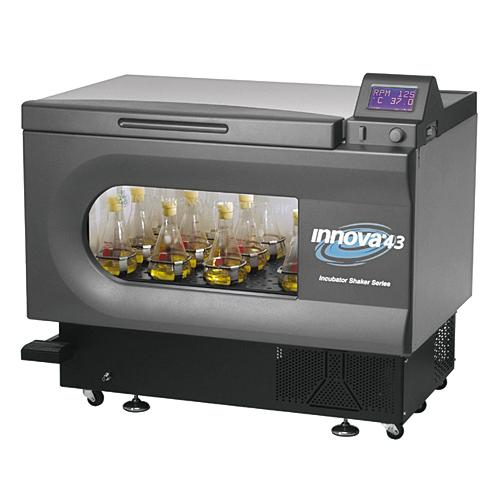 The Innova 43 incubated and Innova 43R incubated and refrigerated shakers are the perfect choice for handling large quantities or large volumes of cultures with precision and ease. 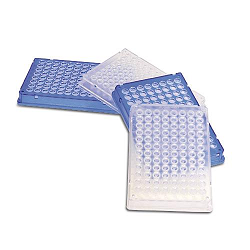 Eppendorf Protein LoBind Tubes and Protein LoBind Plates are specifically designed for use in proteomics and protein research, where sample recovery is vital for assay results and protein concentration tend to be low. Significantly more protein can be recovered for downstream analyses and enzymes remain active. 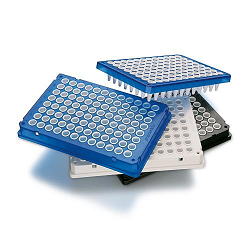 Eppendorf twin.tec® PCR plates combine extremely thin walled polypropylene wells for optimal heat transfer to the sample and extremely robust polycarbonate frames for ultimate rigidity and torque-resistance. Twin.tec plates reduce the risk of cross contamination from their raised well rims for effective sealing. 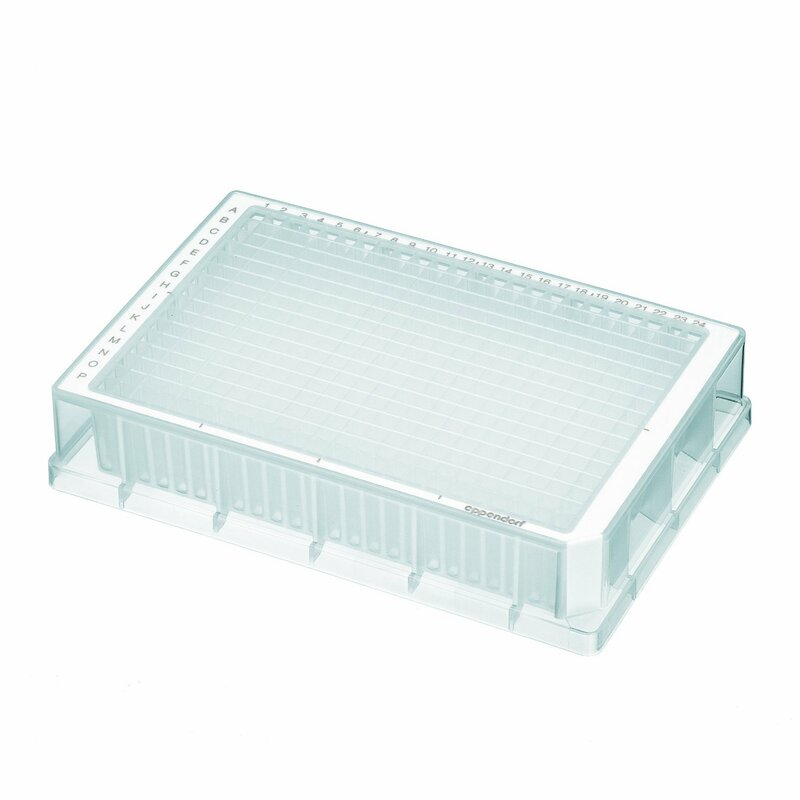 Eppendorf twin.tec® PCR plates combine extremely thin-walled polypropylene wells for optimal heat transfer to the sample and extremely robust polycarbonate frames for ultimate rigidity and torque-resistance. 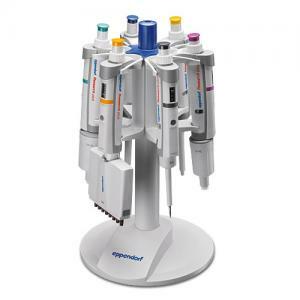 Eppendorf Pipette Stands, Carousels and Chargers are now available at Pipette.com. The pipettes can be attached by the handle, not the nose cone, which eliminates cross contamination from the stand to the pipette. Improve your assay results by incubating and mixing your samples simultaneously: The Eppendorf ThermoMixer C is for heating, cooling, and mixing almost any of your lab vessels and plate formats from 5 µL to 50 mL. The Eppendorf ThermoMixer F1.5 will simplify your lab routines. Whether you regularly work with 1.5 mL reaction vessels - the customized systems from Eppendorf offer you the perfect solution for your special applications. 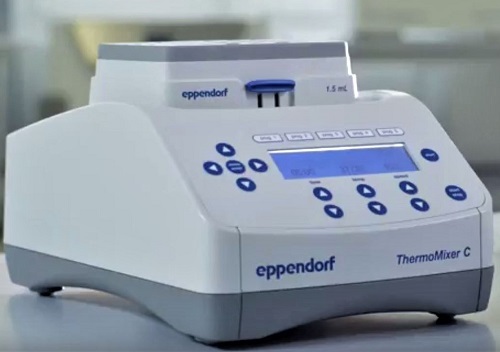 The Eppendorf ThermoMixer F1.5 combines precise heating and mixing with the highest stability, even at maximum mixing frequency. The Innova 2000 open air shaker is ideal for shaking in ambient conditions. It is also, the perfect size to fit inside incubators. 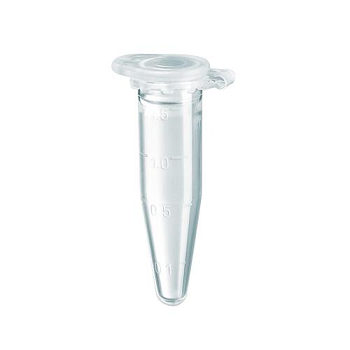 Eppendorf Centrifuge 5427 R guards your sensitive samples to ensure proper preparation of them. 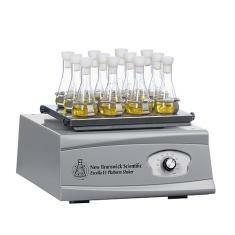 Built for use on the bench, in an incubator, in a warm or cold room. 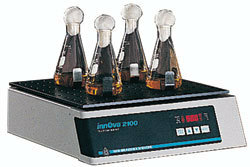 Great for agitating test tube and flasks up to 500mL with analog control. 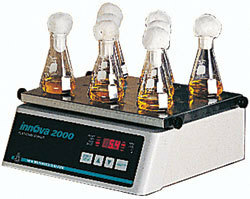 Eppendorf Innova® 2100 benchtop open air platform shaker for use with interchangeable platforms, clamps, and test tubes is now available at Pipette.com. 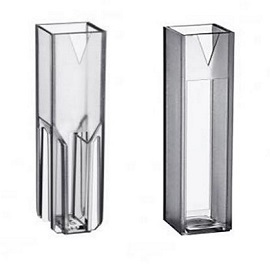 UV-transparent, single use cuvette made of clear plastic, with a light transmission of 220nm to 1,600nm. The unique design allows you to conduct flexible measurements with two different light paths (10mm and 2mm). 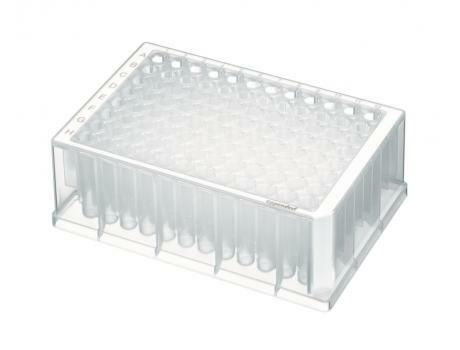 The Eppendorf Vis Cuvettes are disposable cuvettes made of clear plastic with a light transmission of 300nm to 900nm. 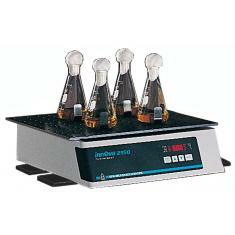 The Eppendorf BioPhotometer D30 is the third generation of Eppendorf's well-established line of BioPhotometers. The small instrument clearly processes data, records at fixed wavelengths and makes evaluating results fast and simple. 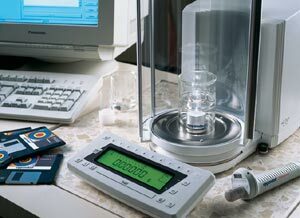 For specific methods, additional measurements are recorded and displayed as a graph, making impurities easier and quicker to identify. Benchtop open air platform shaker for use with interchangeable platforms, clamps, and test tubes, to meet a variety of shaking needs. Benchtop open air platform shaker for use with interchangeable platforms, clamps, and test tubes to meet various shaking needs. 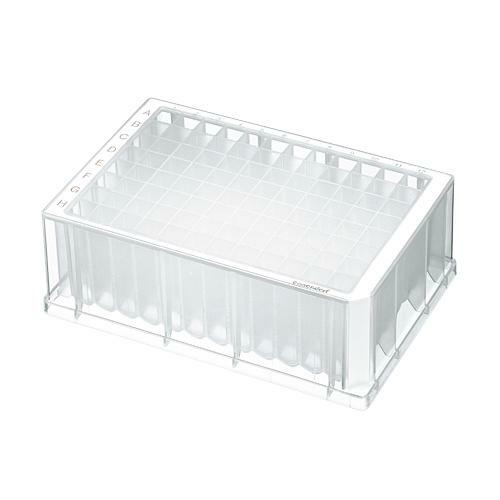 The Eppendorf New Brunswick™ Innova® 5000 Orbital Shaker is a multi-tier open air platform shaker for use with multiple interchangeable accessory platforms. This benchtop orbital shaker is available in both an incubated only (E24) and incubated and refrigerated (E24R) models. 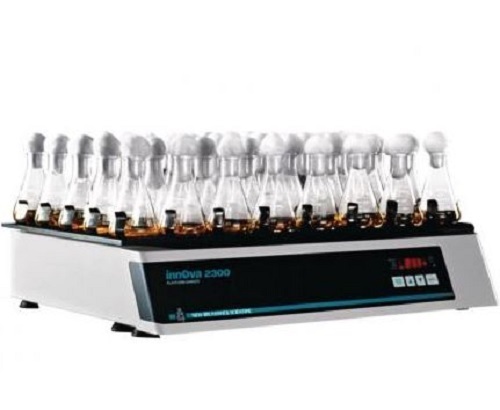 The unit featuring a clear acrylic lid for excellent visibility of all samples without opening the door, as well as djustable shaking speed and incubation/refrigeration temperature. This large capacity orbital shaker is available in both an incubated only (E25) and incubated and refrigerated (E25R) models. Features large window and internal light for viewing samples without opening the door. Adjustable shaking speed and incubation/refrigeration temperature. 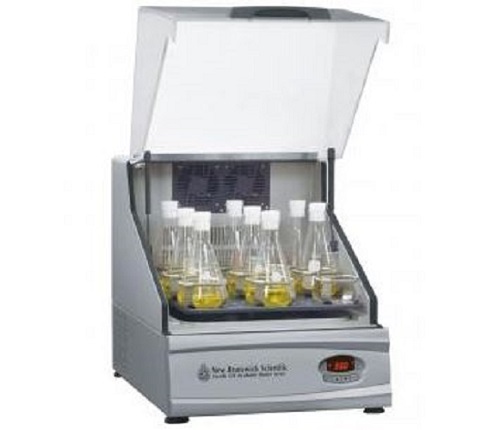 48 liter stackable incubator provides mid-sized capacity within a small footprint. 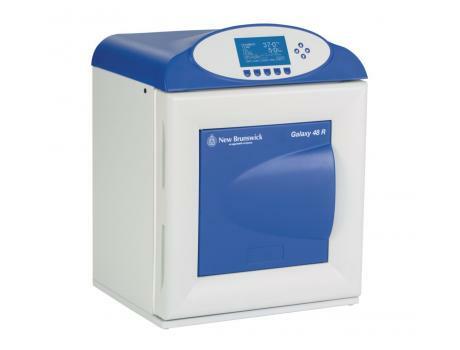 Galaxy 170 R models provide a tremendous amount of usable space that can be optimized with options such as High-Temperature Disinfection, O2 control, and split inner doors. The Mastercycler Nexus X2 thermocycler has the ability to run two independent PCR protocols at the same time. 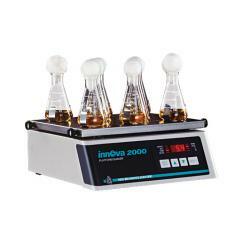 The Innova 40 incubated and 40R incubated and refrigerated benchtop shakers provide years of dependable operation. 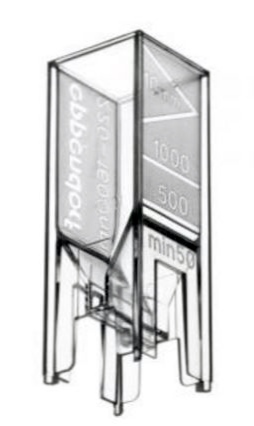 The Innova 44 incubator shaker and 44R with added refrigeration are stackable shakers that provide very broad temperature capabilities for culturing a wide variety of organisms in flasks up to 5 L.
DNA LoBind tubes maximize sample recovery of nucleic acids by significantly reducing sample–to–surface binding. The Eppendorf Mastercycler X50 Thermocycler combines speed, flexibility and PCR optimization for research PCR applications and standardization for routine PCR applications such as food testing. A highly intuitive touch screen puts all these benefits at your fingertips. The Eppendorf ULT Upright Freezers and Chest Freezers combine a high storage capacity with energy saving technology. The CryoCube F570 needs 15 % less energy compared to its predecessor. This new line has a high-efficiency fan, compressor, and condenser which decrease the power consumption of the unit drastically. 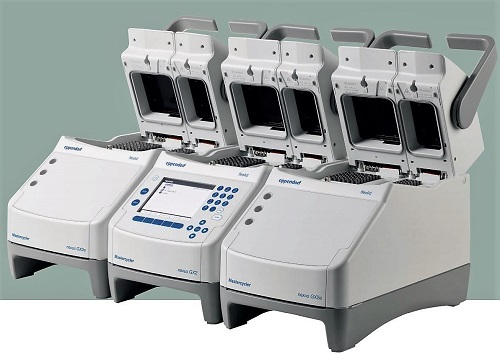 The Eppendorf BioSpectrometer® basic Compact Spectrophotometer makes your lab work easier and more straightforward with the following features: simplest handling, guided software procedures, operational controls directly on the unit, preprogrammed methods, automatic evaluation of measurement data and clear presentation of results following measurements. 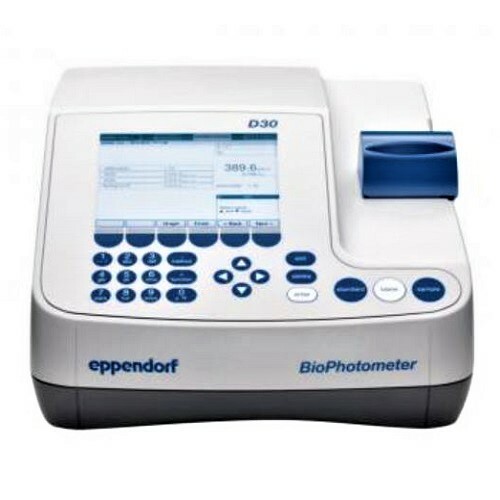 The Eppendorf BioSpectrometer fluorescence Spectrophotometers are spectrophotometers that combine easy handling and use with highly reproducible analysis. 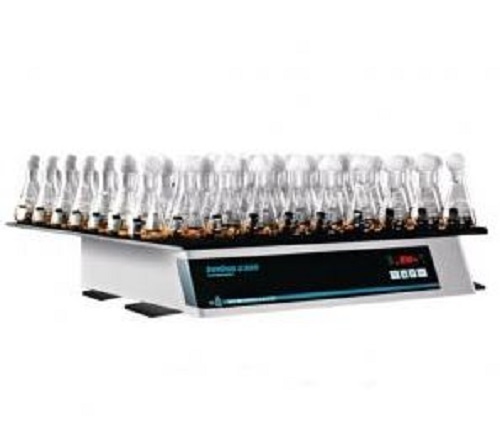 A variety of cuvettes are available to use with these spectrophotometers, from microvolume to macrovolume cuvettes, expanding the range of applications and measurements which can be made. 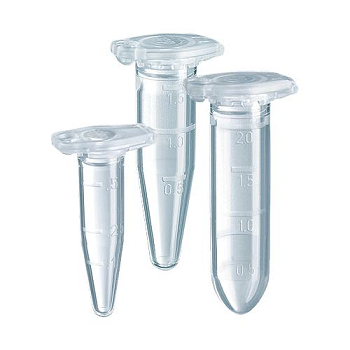 The Eppendorf Cell Culture Consumables are suitable for the growth and cultivation of eukaryotic cells and for the storage of cells. 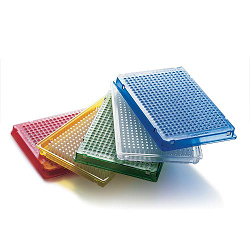 Eppendorf Cell Culture Dishes, Flasks, and Plates are available as multiwell plates, flasks and dishes with tissue culture-treated (TCT) surfaces for adherent cells and untreated surfaces for suspension cells. 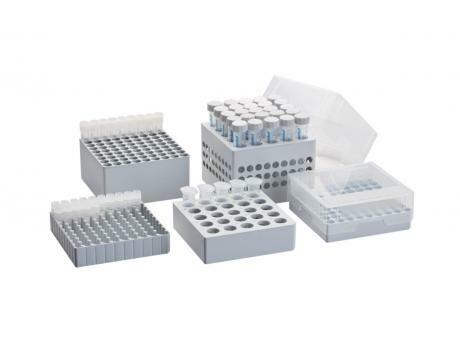 Keep all your Eppendorf pipettes secure, within reach and save precious bench space with the Eppendorf Pipette Holder System 2. The new Eppendorf Pipette Holder System 2 provides highly flexible carousels, stands and wall mount devices for all current Eppendorf liquid handling instruments and most Eppendorf predecessors. 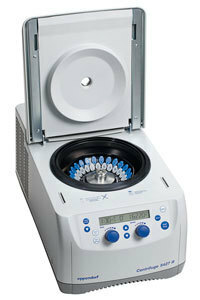 The Eppendorf Centrifuge 5425 is the succesor to the highly productive Centrifuge 5424. The microcentrifuge is carefully engineered to be more efficient and much more ergonomic. The Centrifuge 5425 features Eppendorf's QuickLock technology for an easier, more secure rotor locking mechanism. It is equipped with OptiBowl technology so it runs at a whisper quietness. A loss of power is not a problem with the Eppendorf CO2 and LN2 Back-up Systems. Eppendorf CO2 and LN2 Back-up Systems are designed to maintain the contents of your freezer at a preset temperature should a power outage arise. Continuously monitor and record freezer temperature for up to seven days with the Eppendorf Chart Recorder. 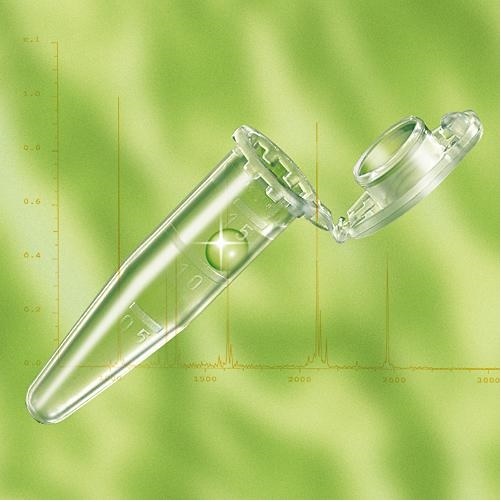 The Eppendorf Chart Recorder will continuously monitor and record freezer temperature. It is front mounted to your freezer for easy access and can be fitted to all freezer models. The Eppendorf High-Efficiency ULT Chest Freezers combine high storage capacity with energy saving. The Eppendorf High-Efficiency ULT Chest Freezers has a high efficiency fan, compressor, and condenser which decrease the power consumption. 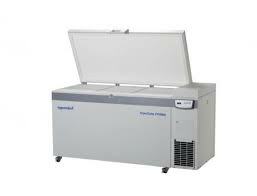 The Eppendorf CryoCube F740 Freezer series is the latest addition to the Eppendorf Freezer family. Combining the high-quality tradition of their previous freezers with an increased capacity, the Eppendorf CryoCube F740 Freezer is designed to store more of your samples securely while maintaining optimal energy usage. 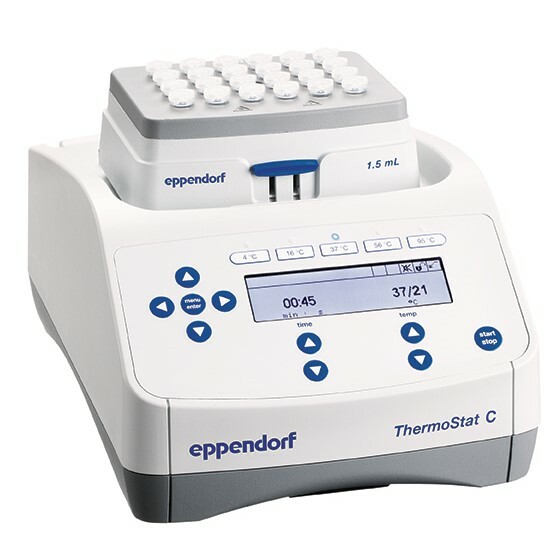 Eppendorf TCA-3 Temperature Monitor is an independent temperature monitor with alarm, electronic chart recorder, and an autodialer. This is all incorporated in a compact communication pod with the Eppendorf TCA-3 Temperature Monitor. 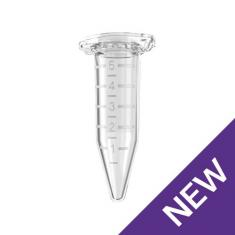 The Eppendorf Conical Tubes (15 mL and 50 mL) meet the highest demands of diverse lab applications. 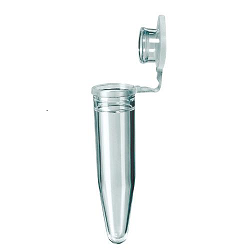 The outstanding quality and specifications make Eppendorf Conical Tubes ideally suited for cell biology applications as well as for sample preparation protocols in microbiology and molecular biology labs.